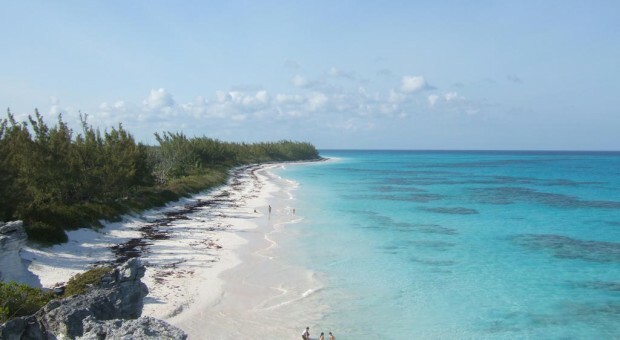 In 2009 The Friends of Lighthouse Point gathered to discuss a massive proposed development at Lighthouse Point, the southernmost tip of the Island of Eleuthera in The Bahamas. Lighthouse Point is notable for its cohesive natural environment, long vistas, several unique historic places and ruins, and extensive extraordinary beaches. Both the number and diversity of ecosystems (Caribbean beaches to hyper-saline inland lakes are just two examples) and the relative remoteness of the area contributes to the overall intrinsic environmental value of Lighthouse Point as a whole. Eleuthera has a long history of failed large scale developments that are inevitably closed and abandoned, demonstrating that mass tourism models cannot be sustained on the island. Therefore, an alternative approach had to be put forth to prevent Lighthouse Point from becoming another casualty of failed large scale development. In response to these concerns, The Friends of Lighthouse Point engaged Michael Singer Studio to begin a planning process for exploring alternative models that focus on sustainable economic, environmental and social development through an intensive on the ground community based planning effort. Over the course of the work, it became apparent that regional planning, based within and around the existing settlements, was a critical missing link to a vision for sustainable development within South Eleuthera. The resultant planning document, A Shared Vision for South Eleuthera provides the basis for sustainable development through 3 main topics. The first section is Strengthening the Communities, building upon the unique qualities inherent in each community within South Eleuthera. The second section is Connecting the Island, linking the settlements along the 110 mile main north-south road and branding an ‘Eleuthera Experience’ through island-wide heritage tourism. The last section is Planning the Future, planning and setting guidelines for future sustainable development with a specific focus on Lighthouse Point. The 80 page planning document is currently being referred to by the Bahamian government and local communities on Eleuthera and is being utilized to plan and evaluate future development on the island and in The Bahamas as a whole. South Eleuthera residents typically refer to the document as “our report”, illustrating its acceptance by the various communities. Additionally, the report led to the establishment of an umbrella non-profit organization dedicated to providing economic opportunities to Eleutherans through sustainable development and revitalization programs. In September of 2012 the Shared Vision document was presented by the project leader Shaun D. Ingraham, to the Prime Minister and Minister of the Environment of The Bahamas. The Shared Vision guidelines have also been utilized by new developers seeking to create low-impact sustainable resorts on the island.